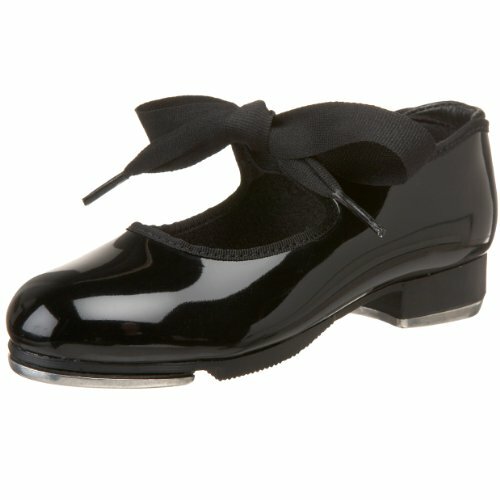 Capezio Kids Girl's Jr. Tyette N625C (Toddler/Little Kid) Black Patent Sneaker 11 Little Kid M | What Should I Say? The Jr. Tyette tap shoe from Capezio features a thick, low heel, soft microfiber linings, and a padded collar for extra comfort and support. Grosgrain ribbon ties on the center front, and a rubber sole patch helps to steady her every move.